This cozy cottage is located right in the heart of the coveted Greenway Parks neighborhood. 3BR, 3 Full Baths, 2 Living Areas, 2 Fireplaces, Plantation Shutters. 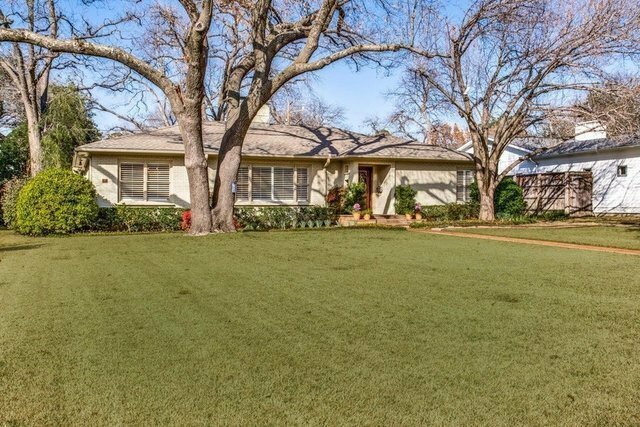 Centrally located with easy access to downtown Dallas + the bustling Lovers Ln. retail district. Buyers are sure to appreciate the home’s spacious living spaces and ample storage. Exceptional closets! The cook’s kitchen with gas cooktop opens to an eating area and large family room. Beautiful wood floors. Oversized Master BR features a sitting area and large bath. Lovely backyard stone terrace and plenty of large trees. A must see!